One of the greatest classical ballets of all time, set to a beautiful score of romantic music by Tchaikovsky. 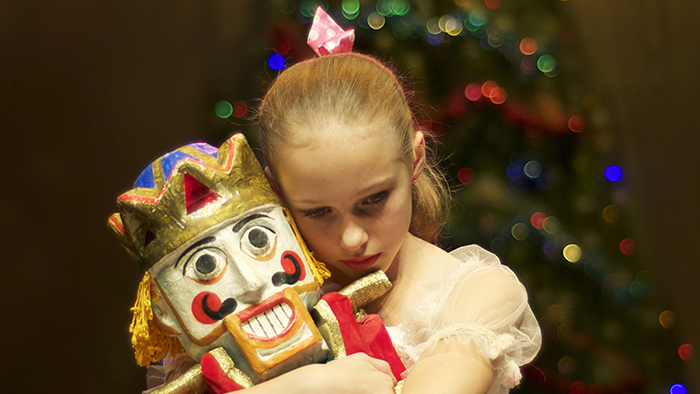 The Nutcracker tells the story of a little girl whose godfather gives her an enchanted doll for Christmas. When the clock chimes midnight, all the toys in her bedroom are magically transformed and her Nutcracker Doll turns into a handsome prince. Beautifully choreographed with dances inspired by folk dances from all over the world - The Spanish Dance, The Arabian Dance, The Russian Dance and The Chinese Dance. Add the enchanting Dance of the Sugar Plum Fairy and you’ve all the ingredients for an unmissable treat.